Guests Can Enjoy the Relaxing Atmosphere in the Apartments Surrounded by Mediterranean Vegetation. All Apartments Have Their Own Parking Space (For a Fee). The Property Features a Lobby, Hotel Safe, Caf???? and Restaurant. 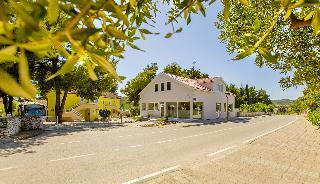 For Additional Fees Guests May Take Advantage of the Internet Access, Laundry Service and Bicycle Hire.